Offers for the Starwood Preferred Guest® Credit Card from American Express are not available through this site. All information has been independently collected by AwardWallet and has not been reviewed or provided by the card issuer. Please see our card marketplace for available offers. When it comes to international travel, Europe is arguably one of, if not the most popular destination. A common question we receive is what are the best points and miles to use for Europe? The challenge is that there is not one specific rewards currency that is better than all for travel to Europe. Perhaps one of the best awards to book overall is redeeming BA Avios for business class travel with Aer Lingus between Boston and Dublin/Shannon as only 50,000 Avios are required each way. Best of all, fuel surcharges on these routes are so small they are barely even noticeable. You will have to call BA to book awards with Aer Lingus, but in this case, the call will be well worth it. BA is a Chase Ultimate Rewards, American Express Membership Rewards, and Marriott Rewards transfer partner. For only 80,000 Korean miles you can book a SkyTeam roundtrip business class award between North America and Europe. You can even add two complimentary stopovers if you want. Among the Korean SkyTeam partners that fly to Europe are Air France, Delta, KLM, Air Europa, and Alitalia. Awards with Delta wholly within the U.S. will not incur fuel surcharges. All other Korean Air awards will incur fuel surcharges that vary by airline. Korean Air is a Marriott Rewards transfer partner. Delta's saver-level business class awards rates to Europe are nothing special (62,500 miles for travel in 2016 and 70,000 miles for travel in 2017 and beyond). However, there are two distinct advantages to booking Delta awards to Europe with a few of their partners. In the case of KLM and Air France, if you can book your award between 10 and 11 months out, you are virtually guaranteed to find availability as AF/KLM do not open up award availability to their members until 10 months out. In the case of Virgin Atlantic, you can book a one-way business class awards to London (or beyond in Europe) without fuel surcharges, something not possible if booking the same award directly with Virgin Atlantic. Delta is an American Express Membership Rewards and Marriott Rewards transfer partner. Even after its recent major devaluation, at 57,500 miles each way, AA's award rates for business class travel to Europe are still extremely competitive. The key is to find availability on AA's flights or with Iberia, Finnair or airberlin to avoid major fuel surcharges. American Airlines is a Marriott Rewards transfer partner. For only 88,000 miles you can book an ANA Star Alliance roundtrip business class award between North America and Europe. Among the ANA Star Alliance partners that operate flights between North America and Europe are United, Turkish Airlines, Air Canada, Lufthansa, Austrian, SAS, Brussels Air, and LOT Polish. Do keep in mind that awards on some of these airlines incur fuel surcharges with the exact amount varying by airline. ANA is an American Express Membership Rewards and Marriott Rewards transfer partner. Air Canada's rewards program, Aeroplan, divides Europe into two separate regions. Europe 1 consists of what is mainly considered Western Europe, while Europe 2 consists of what is essentially considered Eastern Europe. 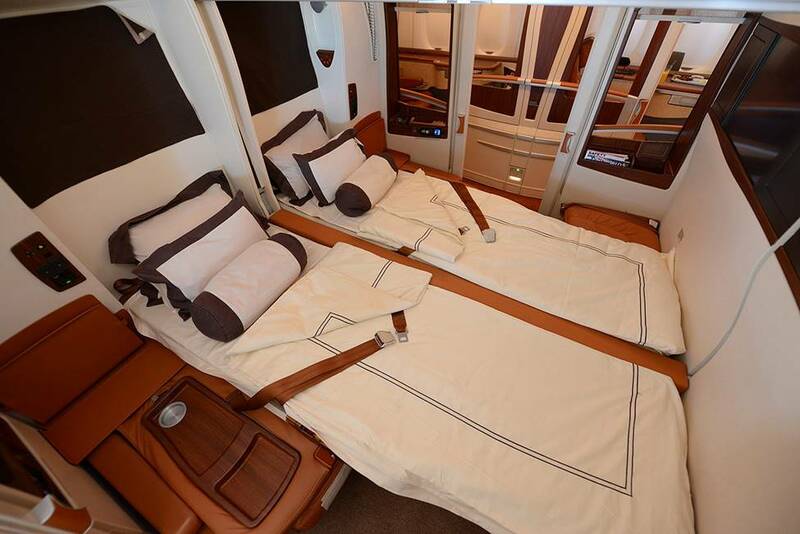 Regardless of which of these two regions you are traveling to, Aeroplan's award rates are great: 55,000 miles in business class and 70,000 miles in first class each way to Europe 1 and 57,500 miles in business class and 80,000 miles in first class each way to Europe 1. The key to come out ahead with Aeroplan award bookings is to choose airlines on which fuel surcharges are not imposed or are relatively small, such as United, LOT Polish, Brussels Air, and Turkish. Aeroplan is an American Express Membership Rewards and Marriott Rewards transfer partner. Singapore Airlines Business and First/Suites Awards on Singapore's Flights between Manchester, Moscow and Frankfurt and the U.S.
Singapore Airlines operates the following three fifth-freedom routes between Europe and the U.S.: Houston-Moscow (DME), Houston-Manchester (MAN) and New York JFK-Frankfurt. Business class awards for these routes booked online require only 48,875 miles each way. First and Suites class awards for these routes booked online require only 57,375 miles each way (Suites only currently available on JFK-Frankfurt route). While fuel surcharges are imposed on these routes, they are relatively minor and certainly worth it when you take into consideration the award rates and the experience of flying on Singapore's premium cabins. Singapore Airlines is a Chase Ultimate Rewards, Citi ThankYou, American Express Membership Rewards, and Marriott Rewards transfer partner. For only 90,000 or 100,000 more miles you can book a roundtrip Virgin Atlantic business class award with Delta to Europe. The key to making this award work is to originate travel in the U.S. so that fuel surcharges are not imposed. The following routes require 90,000 miles roundtrip: LHR-Atlanta, LHR-New York JFK, LHR-Boston, LHR-Detroit, LHR-Minneapolis, LHR-Philadelphia, LHR-Seattle, LHR-Salt Lake City, Edinburgh-JFK, and Manchester-Atlanta. All other Delta roundtrip business class awards to Europe will require 100,000 miles. Keep in mind that Virgin Atlantic does not allow one-way awards with Delta. Virgin Atlantic is a Chase Ultimate Rewards, Citi ThankYou, American Express Membership Rewards, and Marriott Rewards transfer partner. Ever since American Airlines implemented its most recent award devaluation you are better off booking Alaska awards for American premium cabin travel to Europe (50,000 miles in business class and 62,500 miles in first class) than you would be if booking the same award with American’s miles (57,500 miles in business class and 85,000 miles in first class). Alaska Airlines is a Marriott Rewards transfer partner. Which Points or Miles Should You Earn? When it comes time to earning, you want to make sure you're picking the program that makes sense for you. Flexible points provide you the most options, and while Marriott points transfer to all of these airlines, Marriott transfers are not instant. That said, when it comes to flexibility, they provide the most options. Regardless, we're fans of diversity — check out all the options and pick the one that fits your goals. Did you know that accounts which have been changed in the last 24 hours have an indicator (to the left of the account) showing that an update has occurred? This way you can easily spot any accounts that have been recently updated. Isn’t Flying Blue (KLM/Air France) now a transfer partner from Chase Sapphire Preferred/Reserve. How about extending this post to include possibilites using this program? Indeed it is. One great option, specifically with Flying Blue would be travel to Israel as that program considers it part of Europe! The Flying Blue scheme is great for intra Europe travel. Last autumn I flew ZRH-ROM-TLV for 12,500 FB points. I left Zurich early evening, got to Rome in time for dinner with friends and had a meeting in Rome the next morning before flying out at midday. As I have a Priority Pass the lounges were taken care of and the seats on most short leg European flights are the same whether you are in Business or Economy so paying hundreds and hundreds of $ doesn’t make sense nor does using many more points. Paying is not smart either as these one way trips are usually disproportionately expensive. Hi, my major airport is PHL or EWR. What would be my best option to fly to BCN? With AA devaluation and routing all MileSaver routes through London on BA ( read large fuel charges and not direct) it makes me look for other alternative. Thank you in advance. Slava, we’ve found Delta having the best award availability — and while it wouldn’t be non-stop, it could be your best option. Thank you. Delta out of PHL/Ewr or Ypu mean JFK? Slava, definitely out of JFK, but you might also find flights originating in PHL that work. I would have loved if you had also include the amount of miles for economy class. I read the beginning of this post and was looking forward to it but then it just didn’t apply to me at all. With a family of three and only one of us being able to get credit card with bonuses it just doesn’t work. Same here. Who the heck flies business class if they’re not on an expense account?!! This makes this totally uninteresting for most people. We’ll just have to guess that the economy prices scale evenly for all of them..
Howard, I’m certainly not on an expense report and I fly business/first class all the time with miles. The incremental cost in miles to fly Business or First Class, when you’re flexible, can be small when otherwise compared to the relative cost in cash. That said, we’re working on a post just about economy class travel as well. It would be very useful to have more specific clarity on routes that have surcharges. For instance, United is a popular US airline. Europe is a popular destination for US citizens to visit. United does not charge fuel surcharges on award flights. But which, if any, of the Star Alliance partners do charge fuel surcharges when using their program’s miles for United award flights? I can never get a straight answer to this question. Does Singapore? Singapore will pass along surcharges. It isn’t so much the route, but the operating airline and the airline with which you’re redeeming. United never passes on fuel/carrier-imposed surcharges. 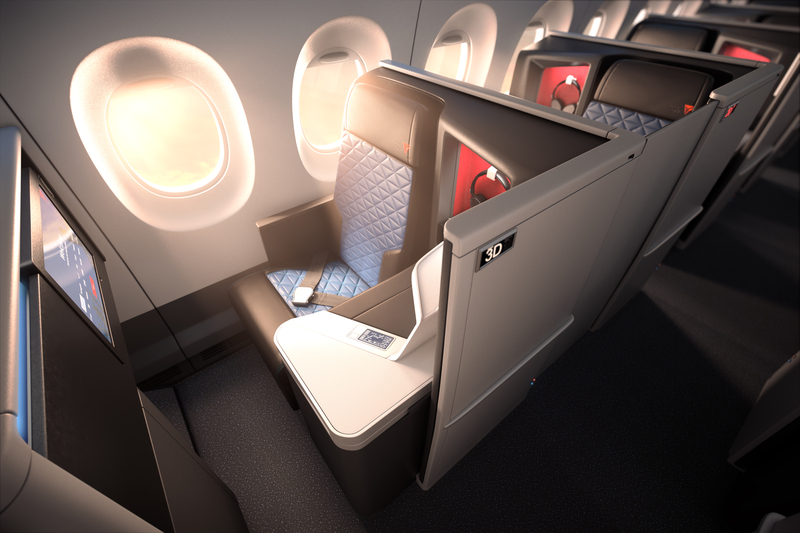 How do I use Delta miles to book on other flights? If I search Delta, limited options are given that might include KLM or Air France, but no other partners show up. I need basic info on how to use the credit card points. Currently I use Delta American Express for all flights. Should I be using something else? Sue, the points/miles you should accumulate should line up with your goals. When in doubt, we like flexible points such as Chase Ultimate Rewards, American Express Membership Rewards, Citi ThankYou Points and Starwood Preferred Guest Points — the reason for these is they can all transfer to many different airline partners. Delta’s site is pretty good for displaying all airlines/partners to Europe — what airlines are you not seeing? I’ve got the most miles saved in Chase Ultimate Rewards and would like to fly from San Antonio TX to Rome next year, preferably business class. Looks like Korean Air would be my best choice at 80K R/T, but I can’t figure out how to do it. Their website doesn’t list San Antonio as a departing airport. Skyteam member Delta does fly out of San Antonio. Any suggestions? Jon, you’ve got it. Korean’s website, unfortunately, doesn’t display award availability for Delta, but you can still cash in your miles for flights with them and their partners. 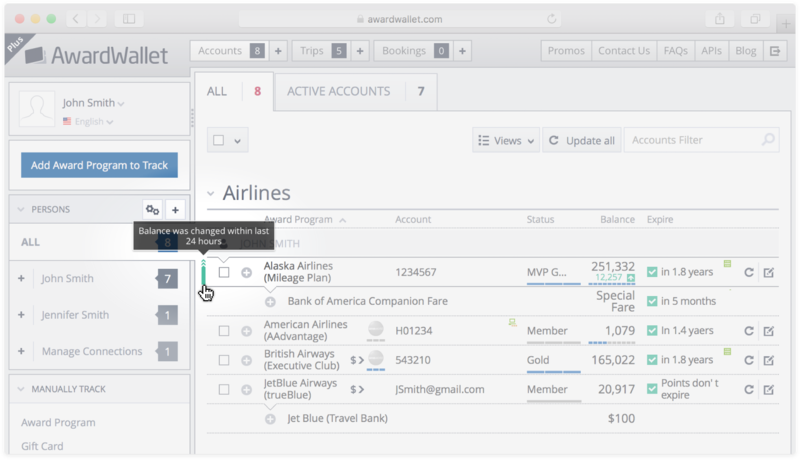 If you check out the bookings tab in your AwardWallet account (https://awardwallet.com/awardBooking/requests) you can submit a request for assistance, but the right start is finding the lowest level award prices on Delta and other SkyTeam partners. We are planning to take the entire family (5 of us) to Europe in 2-3 years. I am racking up a fair amount of Chase UR points (around 150k points) and American Airlines points (about 240k points between my wife and I), as well as some Delta points. 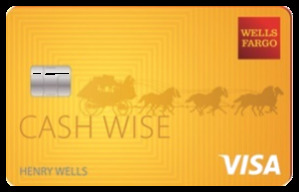 We are in the midwest, probably fly out of KC and we have the SW companion pass and a fair amount of Rapid Rewards points that could get us to a major hub if needed. My question is should I continue to rack up UR and AA points or should I start considering another reward program and transfer some of our accumulated points to that program given we have some time and maybe the possibility of some sign up bonuses during that time for other programs? Any help or advice would be appreciated. Chris, for me, I’d stick with what you’re doing. Focus on building up UR as they’ll give you more options than AA alone. Thanks. Any other Airline reward cards that I should consider that are partners with AA that could be good options for sign-up bonuses to accumulate more miles? Appreciate your help. Chris, I’d look at the AA cards from Citi or the SPG cards from Amex — as SPG points can be transferred to AA at a ratio of 1:1 and for every 20k you transfer you get 25k miles. This is great info. Can you please publish ways which include economy class? I have a family of four and don’t have enough points for business or first class. Thank you! I’m flying to Morocco and back from Spain (most) likely BCN next June or July. I am having a hard time figuring out getting to Morocco, using miles. I usually fly UA, since I live in San Francisco, but have a ton of UR points I can use. Most likely CMN, but could do RAK. looks like might be best to fly to Europe and then use one of the low-cost carriers to get to Morocco. Any thoughts? Thank you. Petra, for your scenario, I’d recommend reaching out to the folks through the Booking tab in your AwardWallet account (https://awardwallet.com/awardBooking/requests). They’re pros at figuring out how to get the best value from your points and miles for a specific scenario. Suggestions for the best way to use miles for a round trip ticket JFK to Athens Greece? Peggy, it all depends on your dates of travel, class of service, what points/miles you actually have and your level of flexibility. If you made me choose one and only one program, I’d pick Chase Ultimate Rewards. If you’re looking for a hand with the booking, reach out to the experts we work with through the Bookings option (https://awardwallet.com/awardBooking/requests) in your AwardWallet account. HI, really useful post. I live in Minneapolis (I’m planning to take my family yo Europe next year), so far I have 50k point on Delta, Lufthansa and United. What would be best choice for MSP airport? Artur, keep in mind both Lufthansa and United are members of Star Alliance and redemptions can be made for flights on one another’s aircraft. For your family you’ll want to focus on a single alliance, so with Delta it’d be SkyTeam and United/Lufthansa it’d be with Star Alliance. I’d personally focus on United. Thanks so much for your advice. I focused on MilagePlus and mariott. Do you think is there a way to consolidate Lufthansa, Delta or Etihad miles onto MariottHilton or any other reward program? then have them transferred on Mariott or MilagePlus? Artur, each program has their own specific transfer options available. Look at each program, their transfer partners and see what you can do. You could also look to points.com to convert your points but the ratio on transfers that you’ll receive are not particularly lucrative — that said, if you’re not going to otherwise use those miles, absolutely take advantage of this opportunity. In this article, you state that Delta flights booked using Korean miles will not incur fuel surcharges. I believe that is incorrect. When I do a dummy booking on Korean’s site it quotes me 80,000 points along with $400+ in YQ fees on a RT flight (ATL to FRA to ATL). What am I missing? Matt, it should read “awards on Delta wholly within the US won’t incur surcharges” (which I’ve updated the text to read). The YQ you’re seeing from ATL-FRA-ATL is correct. Sorry about that, you’re not missing anything. Is Korean Air Roundtrip Partner Business Class Awards still available? I just went on the website and it said “Airport Advisory. Please note that the selected itinerary is a transpacific route via Korea (Seoul/Incheon)” then it said I’d have to call. When I checked the Korea Air website award chart they had no awards from North America to Europe. I replied too soon. Tried JFK to ATH with exact dates and got the same responses. Your best bet is to give Korean a call then. Their web interface, while functional, isn’t the best. I’ve had luck, but also have put in more hours than most fiddling with it. I’ll often search on Delta.com or AirFrance.us to find flights that are available for partners and then piece it together at Korean’s website. Umm, yeah..how embarrassing. LOL Thanks!!! I have 300,000+ points in my Gold Amex account. What is the best way to use these points for myself and my family to purchase round trip tickets to Rome next July 2018 ? How can one keep signing up for and qualifying for new credit card bonuses etc. if one already has signed up and qualified for a bunch of them? 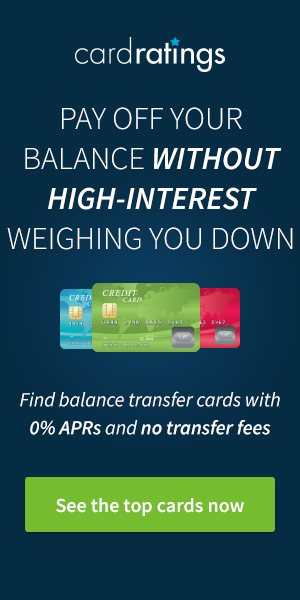 Or do people just sign up, qualify and then jettison the card? AFAIK the “British Airways Business Class Awards with Aer Lingus between Ireland and Boston” has not priced at the 37,500 level for a couple years (I think it was around Dec 2016 when they fudged the geography and bumped this redemption up into the next distance band). Note: these are completely made up numbers/airlines. Thanks for the comment and I’ve adjusted the mileage for BA — yes, they have gone up. We’re going to do a larger update of this post and will figure out how to best add surcharge data. Time to write a new post. Air Berlin doesn’t exist anymore. Also Alaska is no longer cheaper on most route to Europe than AA. In fact since losing FlyingBlue as a partner they offer less space than AA since Iberia isn’t an option so with nearly No premium cabin space on AA to Europe much of the year almost all Alaska premium awards are BA with YQ charges and through LHR since Icelandair never seems to release premium (subpar saga) seats to Alaska awards. Dan, we’re working on getting this guy updated, thanks!